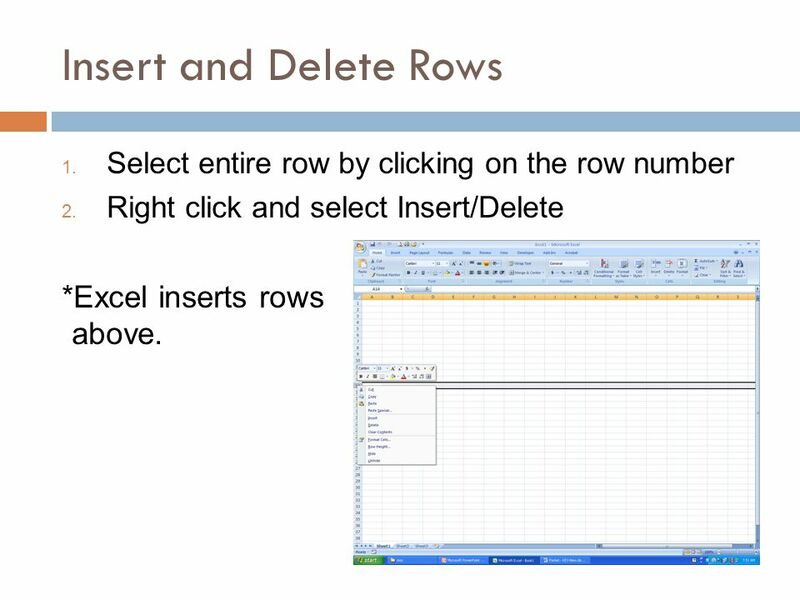 7 Insert and Delete Rows 1. 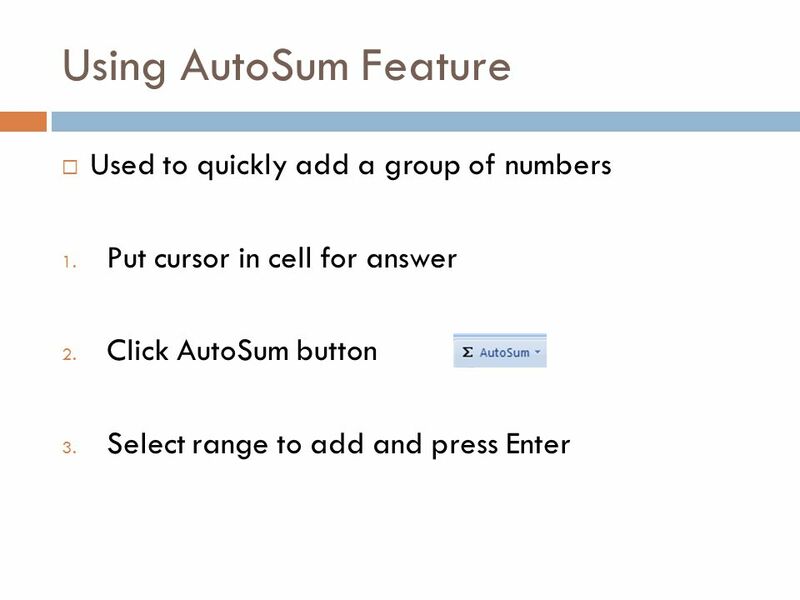 Select entire row by clicking on the row number 2. 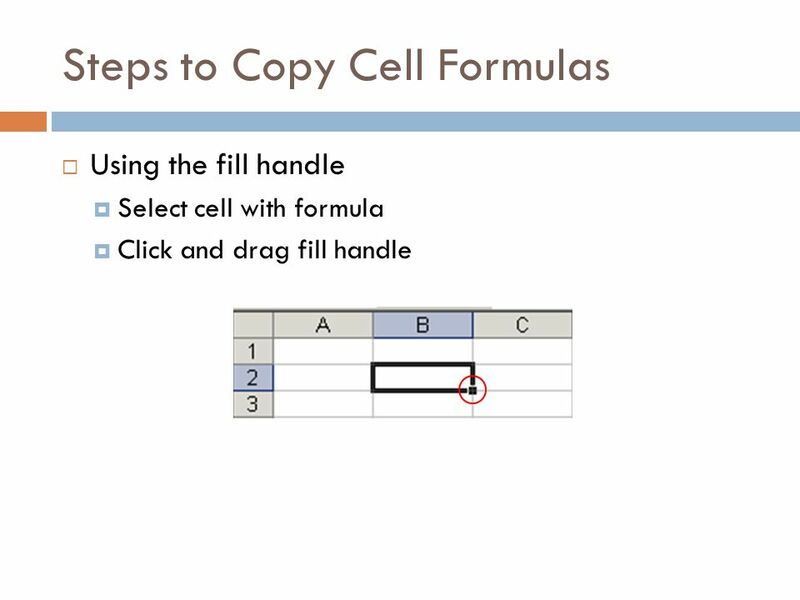 Right click and select Insert/Delete *Excel inserts rows above. 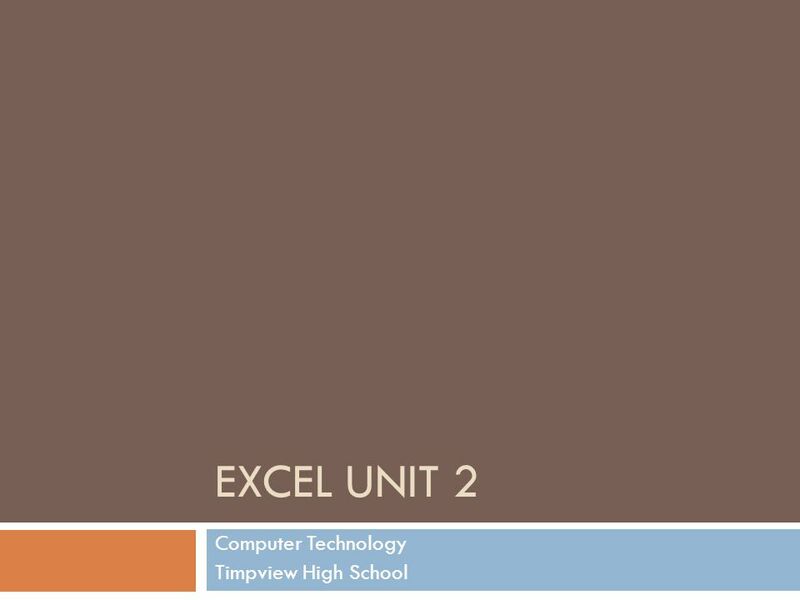 Download ppt "EXCEL UNIT 2 Computer Technology Timpview High School." Part 2. 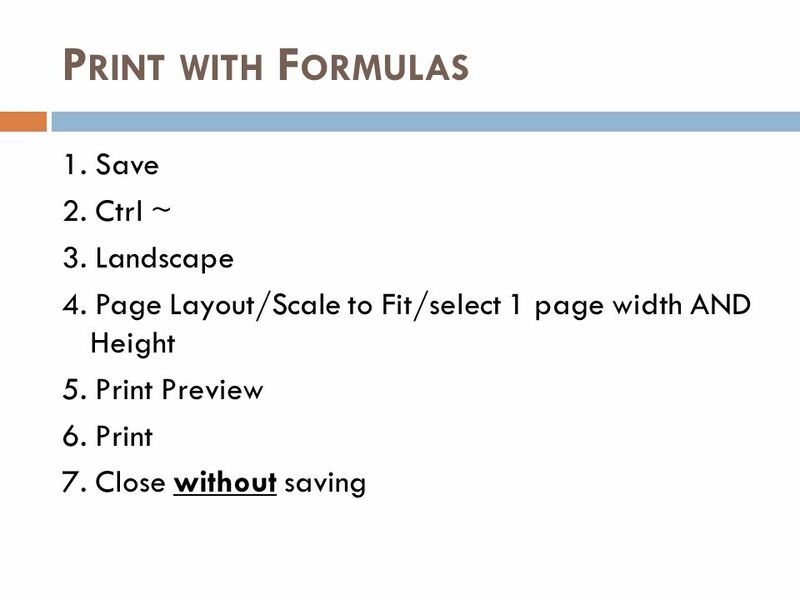  Enter formulas  Select Cells  Format Cell Contents  Insert Borders  Standard Error Values & How to Correct  Format Numbers. Click the mouse to continue. 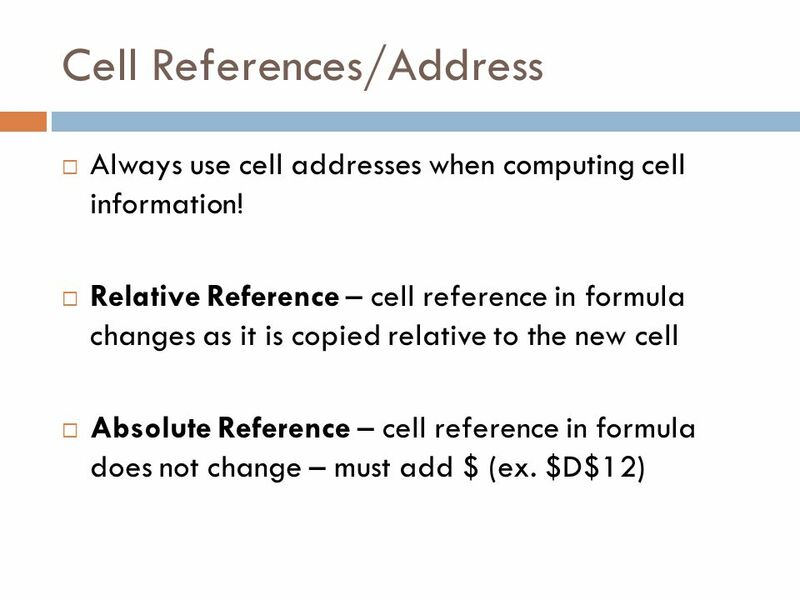 Relative references Absolute referencesMixed references. Review Ch. 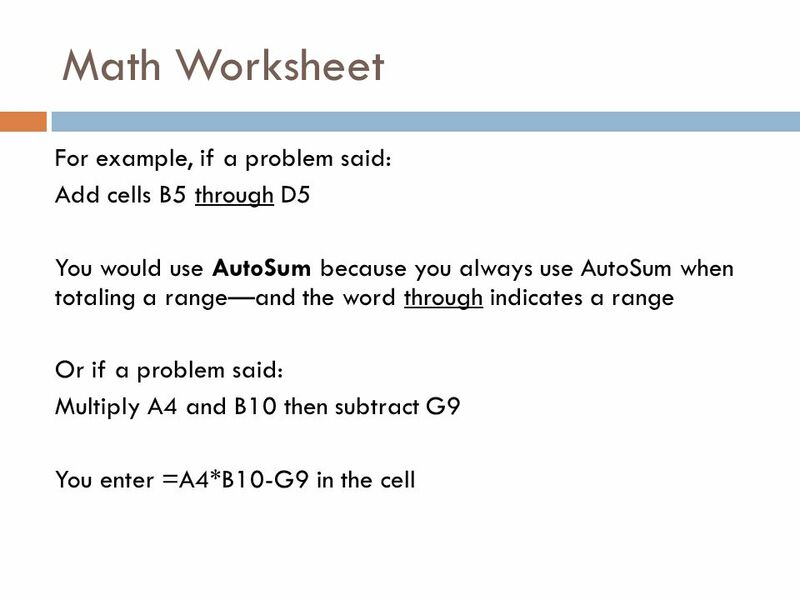 15 – Spreadsheet and Worksheet Basics © 2010, 2006 South-Western, Cengage Learning. 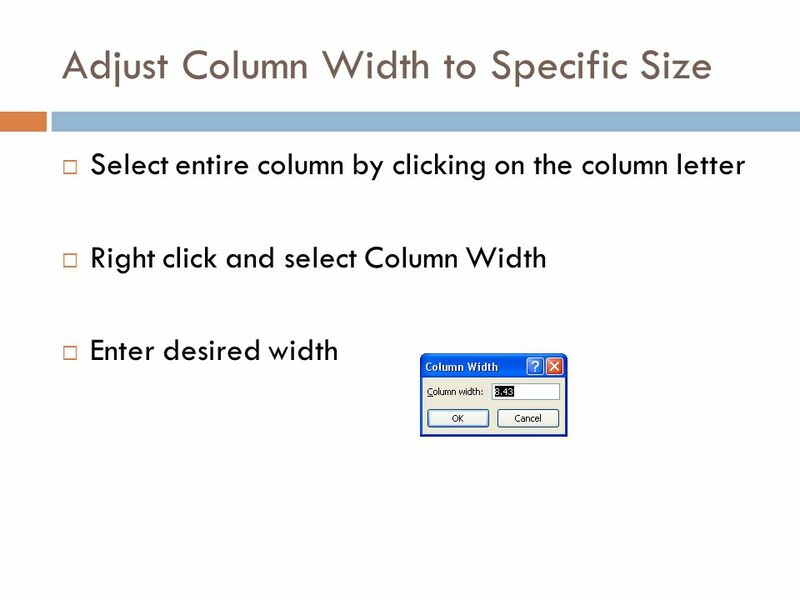 With Microsoft ® Excel 2010© 2011 Pearson Education, Inc. Publishing as Prentice Hall1 GO! 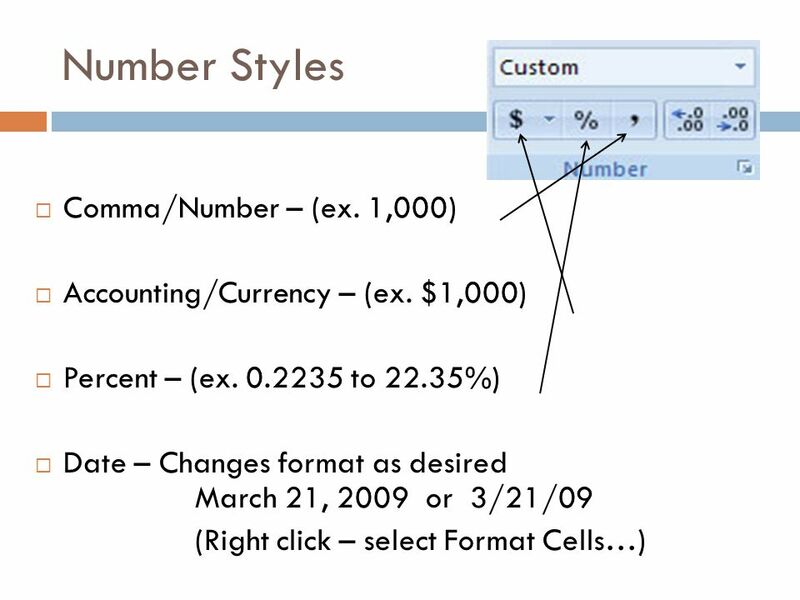 with Microsoft ® Excel 2010 Chapter 1 Creating a Worksheet and. 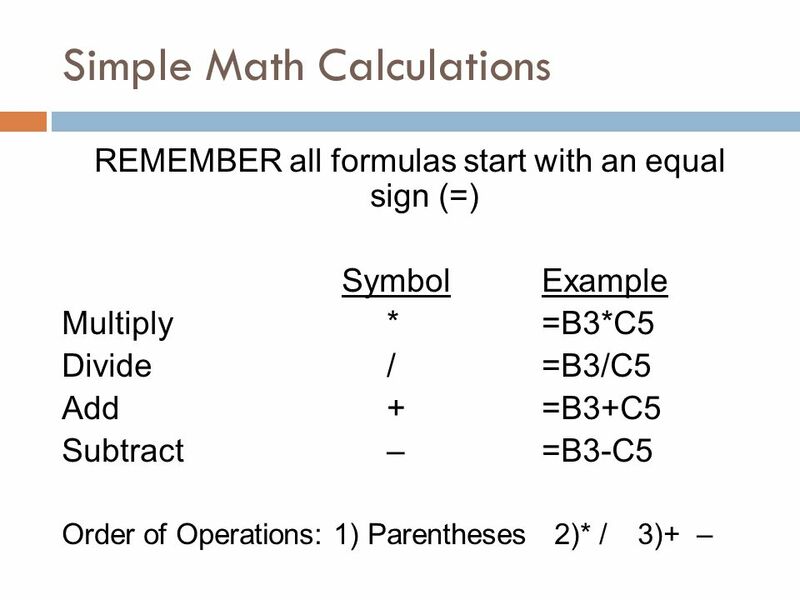 THE PROFESSIONAL APPROACH SERIES © 2008 The McGraw-Hill Companies, Inc. All rights reserved. 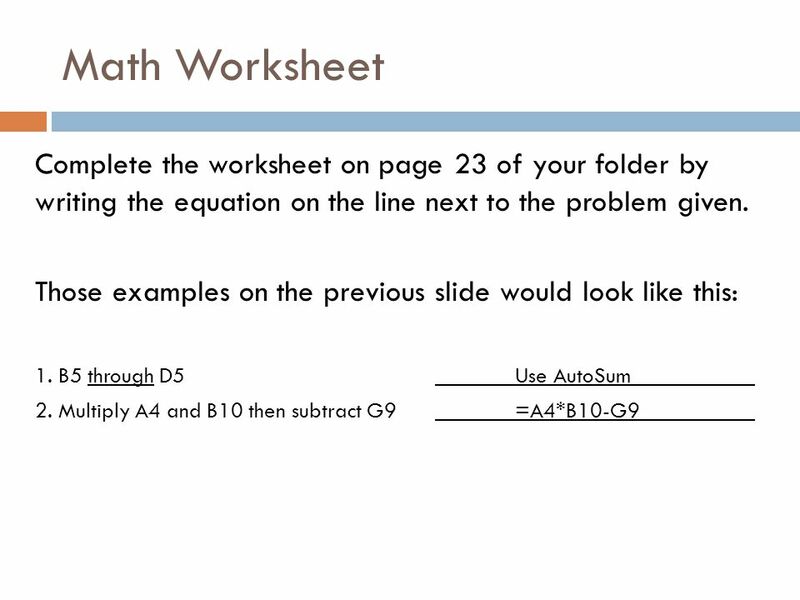 1 Lesson Objectives Lesson 5 objectives Use a template to.